The first and most important thing to keep in mind before buying a property is to verify the property documents. 7 Documents you “must check” before buying a property. So you found your dream property, and now deciding whether it is a right investment or not. One of the criteria for your analysis should be the status of the property’s documents, and whether or not they comply with the local authority’s requirements. To help you with this analysis, we’ve identified 7 documents that we think you should ask for and examine, regardless of the city you are in. Title Deeds are documents that typically outline the chain of ownership of a property. Title Deeds are those documents based on which the present owner can claim absolute ownership over a property; the genesis of title and other relevant information pertaining to the land can be derived from it. It is essential that you always check the title deeds and confirm whether the seller has the right, title, and interest over the property and the absolute capacity to sell. Why is this important? If the title of the land is not in the seller’s name, then legally, the ownership of the property does not belong to the seller, and you should steer clear of this, as it may lead to future disputes and/or litigation by other claimants over the property. At the start of any construction, one has to get an approval from the local planning authorities. The approval called a “Sanction” is usually given based on the builder submitting the necessary documents as stipulated by the local planning authorities. This is called a “Sanctioned Building Plan”. Apart from checking the ownership over the property, it is utmost crucial to check the legalized construction of the building. The foremost requirement for any building to be constructed is that it must have an approved building plan from the concerned authority. Further, it is recommended to get it verified from the office of the issuing authority to ensure that the Building Plan provided is indeed a genuine document. Why is this important? If there is no Sanctioned Building Plan for the property that you are about to buy, the risk could be that the property is an illegal construction, and hence, not approved by the local planning authorities. Why is this important? In absence of an OC, the construction of the building is not considered as a legally authorized construction, and in some cases, can be construed as not fit to be occupied. Without this document, one would find it difficult to obtain loans from the financial institutions and to procure other government-issued documents such as Khatha / Mutation etc. It is the collection of revenue by the government from the owner of the land and/or the building, based on the extent and the built-up area. Why is this important? If it found that tax has not been paid for a particular property and you just became the owner of such a property, then the government is authorized to impose penalty of 2% every month on the value of property assessed till such payments are made, from whomsoever is the current owner [which in this case would be you]. An Encumbrance Certificate is a document issued by the Sub-Registrar that reflects the encumbrance on the property (if any) like mortgage, lien, charge etc. The Sub-Registrar issues such a certificate [upon request and a fee], which denotes the details of all the registered legal dues or any transaction pertaining to the property for the period requested for in the application submitted. Why is this important? It is also important to check whether any lien, mortgage or charges created over the property you intend to purchase. It is a legal identification document containing all the details of a particular property, for instance, the name of the owner, size of the building, location, and other important information about the property which helps in filling the property tax with the concerned authority. The Khatha / Mutation Document is issued by the jurisdictional municipal corporation in the name of the present owner or owners. Why is this important? It is an important document required for obtaining a loan from banks. RERA mandates that developers should register their projects with the authority constituted under the Act. A buyer, intending to buy a property in a project coming under the ambit of RERA, is advised to verify whether the property has been registered with the authority under RERA. Information available on the official web portal of RERA for each state, also provides details of any cases/complaints filed against the developer of the project and default by a developer, if any and thus, provides useful insight into the credibility of the developer and the project and helps the buyer make an informed choice. With ever-changing norms and rules, as a residential property buyer, its best to check the property documents before buying a new property. Whenever we think about Powai, all comes to our mind now-a-days is big open spaces, greener areas, good quality of life, best architectural point of view, awesome night-life, exotic shopping experience and so on. But if we look into history powai was not the one we are looking today, the name powai was derived by the word Poumw, a corrupted form of Pauma, which means Padma in Sanskrit. This is because the Padmavati Devi temple, situated at the bank of Powai lake which is now inside IIT Bombay, dates back to 10th century AD according to the archaeological survey of India. Powai lake is the man-made lake built by the British government in order to supply water to Mumbai region. But it came to light that the water in powai lake is polluted and unfit for drinking. Thus the water supply shifted to Vihar lake which suited the more viable option at that time. In 1943 Powai was comprised of five villages: Saki, Kopri, Tirandaz, Powai and Paspauli. In late 1950’s a portion of Powai was given to government of India to set up IIT (Indian Institute of Technology) Bombay. It is said that the then Prime Minister, Pandit Jawaharlal Nehru, himself visited the owner of this property to motivate him to give this land on lease free of cost for this purpose. Simultaneously, a young engineer from Denmark, Søren Kristian Toubro had obtained a major contract in Mumbai. As a result, vast tracts of land were leased to him to set up what would become Larsen & Toubro. Powai’s modernisation started with a construction business in 1975 under the flagship of GHP Corporation. Prashant Apartment was the first modern building to come up in Powai, followed by the 13-floor Bhawani Tower. After 1985, the Hiranandani builders obtained permission from the government to convert this agricultural land to residential complex. They went on to purchase vast tracts of land between the Vikhroli hill & Powai lake and set up the present day township. Today, the prevalence of amenities such as shopping malls, hospitals, schools and educational institutions like the IIT and NITIE, entertainment hubs, banks and other financial institutions have all contributed to Powai. Thus, Powai is an upmarket residential neighbourhood located in the north-east Mumbai. It is situated on the banks of Powai Lake, and is bound by the hills of Vikhroli Parksite to the south-east, Chandivali to the south-west, the L.B.S. Marg (old Mumbai-Agra road) to the north-east and the Sanjay Gandhi National Park to the north beyond the lake. The Jogeshwari-Vikhroli Link Road, one of the city’s busiest thoroughfares linking the western and eastern suburbs, passes through Powai. Powai is served by Mumbai’s only airport, located 5 km away; and by the Vikhroli and Kanjur Marg railway stations on the Central line.The Sakinaka Metro station is 2.5 km away. Powai has grown prolifically and exponentially in recent years to become one of Mumbai’s most upmarket commercial and residential hubs. One of the hallmarks of Mumbai’s real-estate market is the way it keeps growing, enveloping areas further and further away as its fringes continue to expand. And while most vibrant new markets are scores of kilometres away, some are also right here in its older suburbs. They’re called micro-markets and they’re typically places that had been bypassed by realty development until growing demand, lack of space and new infrastructure combined to make them hot property for residential projects, commercial projects or both. Micro markets range from broader areas like neighbourhoods to smaller sections of the city. Subdivisions, areas taken from the grey areas between neighbourhoods, and localized slices of a city or region’s overall housing market with their own defining features.Even though each city or region can be called a “market” with its own distinct trends and viability. Trends in micro markets affect the macro market as a whole. But events in the economy of the city affect micro markets even more. A growing neighbourhood could lose hundreds of jobs with layoffs at a large employer. In the same way, the city’s work to gain a big company can lift home prices in neighbourhoods that had been stagnant.Property values can rise – or fall – based on the selling price of homes in the area. Business closures, school ratings, and increased access to major roads all affect micro markets and those who live in them. If you’re selling your home or an office space, your agent should be able to accurately price it. They won’t just look at overall trends. They’ll go in-depth to understand your home’s or office space’s context within a narrowly-focused area of just a few blocks. That leads to buyers who understand your home’s value or office space’s value– right where it is. And they’re more likely to make an offer that’s favourable to you. Buyers benefit from agents who understand micro markets in much the same way. When the right realtor is helping you buy a home or an office space, they’ll help you steer clear of homes and office spaces that are overpriced. On the other hand, if a home or office space is under-priced, they can tell you – and find out the reason. And they’ll be much more qualified to help you find the area of town that’s best suited for you. In Mumbai, the past years have seen such micro-markets boom in Powai. Powai has steadily transformed into one of the largest real estate hubs in Mumbai and has witnessed skyrocketing development over the years. The Hiranandani Gardens residential township has been a landmark development for this zone and several other realty biggies are following suit. Premium projects here include L&T Emerald Isles Phase IIand many others. Big-ticket projects like Kalpataru Woods Ville, SPRE Vicinia, Hiranandani Developers Zen and Hiranandani Developers Castle Rock. Hiranandani is owning in total 47 projects, Nahar group is owning 7 and L & T realty is owning 6 projects. Powai has witnessed rapid growth over the last few years towards becoming one of the largest IT and ITeS hubs in Mumbai. The offices of several commercial institutions, such as Sanofi, Amazon, FIS, TCS, Credit Suisse, Prudential plc, Jardine Loyd Thompson, JP Morgan, Nomura, CRISIL, Deloitte, and Bayer are the major commercial places. Larsen & Toubro, one of India’s oldest multinational conglomerates, has a manufacturing plant at Powai. Powai provides its residents with all kinds of social amenities to live a happy and peaceful life. Various schools in Powai include Gopal Sharma Memorial School, Chandrabhan Sharma Junior College, Pawar Public School and many others. The Indian Institute of Technology, Bombay, established in 1958 and currently the second oldest campus of the Indian Institutes of Technology as well as the National Institute of Industrial Engineering, established in 1963 are both located here,as is a campus of the Bombay Scottish School, Mumbai. Powai is also home to residential complexes of the Income Tax department, Customs and NTPC, as well as those of ex-servicemen. Powai houses schools and colleges, some of which are S M Shetty School and college, Gopal Sharma School and college. Chandivali has SinhgadCollege of management. The Japanese School of Mumbai is located in the neighbourhood. Powai is also Mumbai’s start-up hub, with young entrepreneurs starting off from incubation cells set up by institutes like IIT Bombayfrom the tech industry, and other sectors setting their bases here, causing the area to be referred to as India’s Powai Valley.Some of the start-ups in Powai Valley include JustRide, Housing, Tiny Owl, Toppr, HolaChef, Bewakoof, Logic Roots, Care24, Fly robe, Near fox, Belita, CredR, Mirchi and Mime, and Crispy Games. Some of the start-ups are just running fine while some are not able to survive due to multiple reasons. The place has a vibrant night-life, and shoots for several Bollywood as well as Hollywood movies, such as Kalyug, Ghajini, Slumdog Millionaire, Mardaani, and HaseenaMaanJaayegi have taken place there. The Hiranandani Gardens are also known for their neo classical architecturalstyle, and the area has some of the tallest residential buildings in suburban Mumbai. There are around 153 restaurants, a movie theatre, and 11 bars. Powai is well known for its open spaced architecture. It serves as a key aspect to add grace to Powai rather than city’s congested places. The major hospitals in Powai include Ramani Health Care Centre, Wellness Forever, Dr LH Hiranandani Hospital, Care & Cure Maternity & Nursing Home and Ageless Medica. Apart from these, it also provides recreational amenities and proximity to various banks and ATMs. The locality also provides its residents with many luxurious shopping centres such as D-Mart, Galleria and R-City Mall. Powai in Mumbai recorded a 6.3 per cent QoQ(Quarter on Quarter) surge in rentals. Occupiers from diverse sectors, such as engineering, manufacturing, logistics and flexible workspace operators, were active in taking up space in 2018. Due to limited availability in existing stock, as suggested by the three per cent vacancy at the end of Q2 2018, rental values in this micro-market are witnessing an increasing trend. Office space leasing has risen 12.6 million sq. ft. on the back of rising demand, a 10 percentage sequential rise in the second quarter ending June 2018. Rising demand coupled with shrinking vacancies in Grade A and premium Grade A office spaces led to a 2.8-11 percent quarter on quarter rental rise in micro markets in Powai. As a result office rental values have recorded an increase in most of the preferred micro markets across cities, Powai being the main micro market. Demand from technology and finance sectors is expected to remain consistent while flexible workspaces is likely to gain prominence across cities. It is expected 3 percent to 5 percent year on year increase in average rents over the next three years. Additionally, premium buildings in strategic locations should contribute to the bulk of these rent increases. A well-developed locality of Mumbai, Powai is bordered by LBS Marg (which is the old Mumbai-Agra Road) in the north-east, Sanjay Gandhi National Park in the North, hills of Vikhroli Park site in the south-east and Chandivali in the south-west. It houses some of the major companies’ offices. The Indian Institute of Technology (IIT) is located in Powai. Renowned builders like Nahar Group, Rajesh Life Spaces, Ekta Group, Shrisyhi Group and Hiranandani Group, have been investing in this locality for years now. The locality is well linked to various developed areas of Maharashtra and a number of hotels, schools, banks and hospitals via an excellent network of railways and roadways. The locality is witnessing an increase in population in recent years, owing to its proximity to various employment hubs. Considering the increase in property prices in Powai and the obvious rise in demand, the locality is sure to be a good investment in the future. The presence of business offices in and around the locality, is making Powai a coveted working, as well as residential destination of Mumbai. Over the last decade, Powai has largely become self-contained, and residents who work here say they seldom travel to other parts of the city. Most of the neighbourhood is clutter-free and presents a pretty picture with Greco-Roman buildings, clean boulevards, a lakefront and hills in the background. A number of cafes and pubs have opened up, including Singapore-based Harry’s, the first for the chain in Mumbai. The presence of well-known developers like Hiranandani, Raheja and Godrej and schools, including Bombay Scottish, is encouraging for young professionals looking to move in with families.The steady growth of social infrastructure and the strategic location make Powai one of the biggest residential hotspots in Mumbai at present. The area’s predominance as a startup and technology hub and the beautiful Powai Lake have been drawing professionals and families in large numbers over the years. Powai offers immense potential for future appreciation on account of its skyrocketing commercial growth. There are, however, some challenges which Powai faces in its bid to become this successful start-up hub. Nagging traffic jams add a lot of travel time in the peak hours. Also, the lack of its own local railway station and the distance to other important junctions of the city, mean that accessibility to and fro remains a concern. Some of these problems are expected to be solved now that the metro train system is completed. Another issue is that rents are steadily climbing and could slip out of the reach of younger professionals soon. It could become difficult to retain employees, who have to pay rickshaws for travelling from the railway station to Powai daily unless there are more affordable housing options locally. The winds of change have started blowing in small ways, though. Sand Hill Counsel, which is the legal advisor for many start-ups in the region, recently shifted from Worli to Chandivali near Powai, to be closer to clients. Mumbai is the financial capital, but it has been losing ground to other cities because it’s not affordable. Powai provides entrepreneurs a viable option to stay put. Powai has comprised of mixed community people. There can be seen people belonging to all communities living harmoniously. This communal harmony had made the people of powai to enjoy all the festivals enthusiastically and with whole heartedness. The kids in Powai which are the future are well learning the meaning of unity in diversity. • The locality has reputed educational institutions like Indian Institute of Technology – Bombay, National Institute of Industrial Engineering, and Bombay Scottish School. • The area has a number of theatres, multiplexes, and parks. Places for activities like go karting, paintball, zorbing, and bowling are also available. • Kanjurmarg has been recommended for setting up a car depot. There are possibilities for the Colaba-Bandra-Seepz Metro corridor now getting extended right up to Kanjurmarg with stations in between, including one at IIT, Powai. Powai could possibly become the next silicon valley. There will always be a debate on what makes the best properties to buy in any city. But we can be sure of how to judge the best property. When you are trying to buy a property anywhere, you need to gather all the information that you can on the real estate market. Pune being a vibrant city provides a lot of options for a home buyer. With RERA Act the developers have become more accountable of the customers time and investments. However, it is customers onus to pick a property from a developer who knows what they are doing and who has delivered their projects on a timely manner. Pune is a rapidly developing city and every year there are hundreds of people entering Pune to call it their home city. The cities connectivity and infrastructure are growing and being developed in the city at a higher pace. This increases the value of the property. Home buyers in Pune do ensures that the home they select is located in an area which is has connectivity to places like work, your children’s school. Pune is the second best city in Maharashtra and the seventh best in the country. Pune has a lifestyle which is very tranquil and peaceful. Pune also has a growing IT and industry sector providing job opportunities. This has also created a growth in the residential property business. The impressive appreciation of the real estate sector has increased the investment not only by Indians but has also attracted the attention of the NRI’s of our country. Sus Road attaches the village in Mulshi Taluka to the suburb of Pune. Sus is well connected by road to the important roads and locations. A 2 BHK apartments of 1010 square feet would cost you around 57.3 lakh. Wagholi is under the Gram Panchayat. There has been an outbreak in new projects as inventors get to save taxes. Wagholi is included within city limits. A 2 BHK housings of 800-1000 square feet would cost you around 50 lakh. Undri is the centre of high-end projects and is an exceptional locality. With sprawling greenery and proximity to Pune camp and highways, Undri has emerged as the sought-after destination in Pune. A 2 BHK housing of 900 square feet would cost you around 50 lakh. Kharadi is situated on the eastern corridor, and is a developing IT destination. Kharadi has amazing views from all sides and state-of-the-art facilities. Moreover, it is an EON free zone. A 2 BHK housing unit of 830 square feet would cost you around 50 lakhs in Kharadi. Overall, Pune serves as an ideal destination for working professionals who desire to own a home under their name. Besides, pleasant weather conditions and multitude of getaway destinations nearby coupled with a host of restaurants and entertainment options make it a perfect housing market for millennials. The Indian real estate market, which was at its lowest level in the past four to five years, has witnessed a recovery in 2018 with more transparency and greater consolidation. While affordable and mid-income have gained traction, premium properties are also on buyers radar. The study has also revealed increased traction for luxury segment from High Networth Individuals (HNIs). HNIs have already started investing in the realty sector at current prices, expecting returns of 20 percent to 30 percent within the next two years.The Indian real estate industry is going through a lot of transformation in recent years. Some transformation proved to be a negative impact while some transformation made a positive impact. The government changed their policies lately such as demonetisation, Real Estate (Regulation and Development) Act 2016 (RERA) and Real Estate Investment Trusts (REITs), Goods and Services Tax (GST) and Foreign Direct Investment (FDI) have made a huge impact on the real estate market. Apart from these, there are other reforms anticipated by the experts of the Indian economy, which may come into force in coming time. FDI incomings in Real Estate: As it has become a lot easy due to the government policies to invest in Indian Real Estate, we are able to see a huge investment from foreigners. This is expected to rise more in the coming years. As per World Investment Report 2016-17 by the United Nations Conference for trade and development, India has been ranked fourth in terms of FDI inflows, which shows strong interest by the foreign buyers and investors in the Indian markets. Improvements in India’s overall credibility with a transformation of the regulatory framework has built up an attractive destination for both global and Indian investors. Thanks to the improvement in transparency, NRIs and foreign investors find the country’s real estate market more reliable than ever before. FDI flow and demand from actual buyers may increase at the beginning of the coming decade. REITs : The Real Estate Investment Trusts (REITs) are investment vehicles that own, operate and manage a portfolio of income-generating properties for regular returns. These are usually commercial properties (offices, shopping centres, hotels etc.) that generate rental income. An REIT works very much like a mutual fund. SEBI (Securities and Investment Board of India) requires Indian REITs to be listed on exchanges and to make an initial public offer to raise money. The Indian real estate sector has been facing a liquidity crunch on the account of unsold inventory and low demand. REITs can help cash-strapped developers to monetise their existing property. Indian investors don’t have too many regular income options. SEBI requires REITs to distribute a minimum 90 percent of their income earned to investors on a half-yearly basis. Similarly, 90 percent of sale proceeds too are to be paid out to unit holders unless the amount is reinvested in another property. Thus, you get to receive regular income and also get to benefit from price appreciation, thereby boosting your returns. In real estate sector, both rent and capital appreciation from property depend on the location, infrastructure and industrial development around that area. REITs juggle these risks through a diversified portfolio of properties. REITs helps you to diversify your investment. Along with diversification it provides you with good returns, stable income, tax efficiency and they are democratic in nature. RERA: For long, home buyers have complained that real estate transactions were lopsided and heavily in favour of the developers. RERA and the government’s model code, aim to create a more equitable and fair transaction between the seller and the buyer of properties, especially in the primary market. RERA stands for Real Estate (Regulations and Development) Act, 2016. RERA seeks to bring clarity and fair practices that would protect the interests of buyers and also impose penalties on errant builders. The absence of a proper regulator (like the Securities Exchange Board of India for the capital markets) in the real estate sector, was long felt. The Act establishes Real Estate Regulatory Authority in each state and union territory. According to the central act, every real estate project must be registered with its respective state’s RERA. Existing projects where the completion certificate (CC) or occupancy certificate (OC) has not been issued, are also required to comply with the registration requirements under the Act. RERA seeks to address issues like delays, price, quality of construction, title and other changes. RERA have helped to reduce the initial backlog of real estate, it has also increased the cost of the projects. It has increased governance and transparency within the real estate. Developers are encouraged to use common and best practices for construction. It has also seen that advent of RERA has increased in organized funding of the projects. The buyer is assured with transparency and protection regarding the project. The buyer is provided with quality assurance and timely delivery of the projects under the RERA act. GST: GST (Goods and Services Tax) seeks to transform India with its “One Nation, One Market, One Tax” principle. In the past, the real estate industry was embroiled in disputes due to ambiguity in provisions as well as multiple taxation. GST is expected to simplify taxation compliance and have a positive impact on the industry as a whole. The real estate sector is expected to become more transparent, since the introduction and implementation of GST. GST will absorb many of the indirect taxes developers had to pay under the previous regime. Logistics will also improve under GST and the availability of input credits will reduce project costs. These reductions for the developers will positively impact buyers, as costs will decrease. While there is still some confusion about the GST charges for under construction flats, the GST council is working towards resolving these confusions and ensuring that input credits are being passed to the end customer through the anti-profiteering clause in GST law. Never ending increase in housing demand: Indian government realised it late that it is the government’s responsibility to provide housing facility to their residing individuals. Now there are reforms taking place to achieve this mission. The government has levied Pradhan Mantri AwasYojana (PMAY) under which a person is liable for having a house at affordable rates. In this way the houses are to be built more to meet the demands as such the government’s policy. There is a constant rise in the residential sector as the population is ever increasing, there is more demand for luxury affordable housing. Moreover, there is a rise in nuclear families and more people moving to urban sectors adds up to the housing demands. The residential sector can become more about space than size going forward. India is a land of festivals and every festival celebrated here has a mythological story connected to it. There is a certain novelty and auspiciousness attached to the festivals celebrated here. Every family starts something new or makes a new investment during festivals. Likewise, merchants and business brands also host the biggest and craziest deals to please their customers and boost their sales. 1. Navratri (10th October to 18th October 2018): As per Hindu accreditations, finalization of any purchase of a property should be done at an auspicious time also known as “ShubhMuhurta.” One highly auspicious time which is quite prevalent among the Hindu community is Navratri. Any Puja, Mantra-Anushthan, Muhurta or New Venture performed during this period is considered magnanimously auspicious than any other day. 2. Dussehra (19th October): Dussehra or Vijayadashmi is celebrated with great enthusiasm as it symbolizes new beginnings. The day of Vijayadashmi is believed to bring in Vijay, that is a victory. Dussehra is considered by many people as an auspicious day to buy or commence a new event or a project. Investing in any new project or owning a property on this day is considered lucky. 3. Dhanteras (5th November 2018): Dhanteras or Dhantrayodashi is observed two days before Diwali in parts of India. The word ‘Dhan’ means Wealth and ‘Teras’ means 13th day as per Hindu calendar. Goddess Lakshmi is worshiped to provide prosperity and well-being. Dhanteras holds special significance for the business community due to the customary purchases of precious metals, especially gold, on this day. It is considered auspicious to purchase immovable property on this day. 4. Diwali (7th November 2018): Diwali, the festival of light, is considered to be an auspicious period to buy property. Diwali is not only the start of the New Year but also the day when Lakshmi, the goddess of wealth is worshiped. This day is considered the perfect occasion to take big decisions and purchase new property. While any of these auspicious days is a good time to purchase a property, it is certainly not reason enough to seal the deal. Many real estate builders may roll out offers like discounts, freebies, and other add-ons to attract potential home buyers. However, it is advisable to undertake in-depth research before taking up such offers. Did you know a festival season is likewise an excellent time to invest in property? Apart from being auspicious, there are different factors that you need to think about buying property throughout this time. Builders and developers create ingenious offers and payment strategies, while banks likewise release different loans to raise the interest of purchasers. Till a few years back, developers used to launch new housing projects during the festival period; ready-to-move-in apartments were not offered. According to RERA, from August 2017 onwards, only those properties can be sold or advertised that are registered under the Act. But those properties that have an Occupation Certificate (OC) or have applied for it, are excluded from this mandatory registration. OC is given to properties that are ready to move in. Developers are also keen to clear their inventory. Homebuyers, too, prefer ready houses and realty portals are focusing on such demand. If you are keen to buy a house, look at ready units even if they cost a little more because construction delays are a chronic problem. Plus, ready properties give a clearer idea of what you are buying in terms of factors such as space, location, and view. Ready-to-move-in options not only avoid the risk of delay due to construction risk and provide immediate possession, they can also help you save on taxes—at least that’s what developers are advertising since GST (12%) is applicable only on under-construction properties. Currently, several developers claim that their apartment prices exclude GST. While it may be true in some cases, buyers should read the fine print. Only those properties that have an OC or completion certificate (CC) are considered complete and do not attract GST. Ask the developer for these as proofs. Many developers are taking the online route. 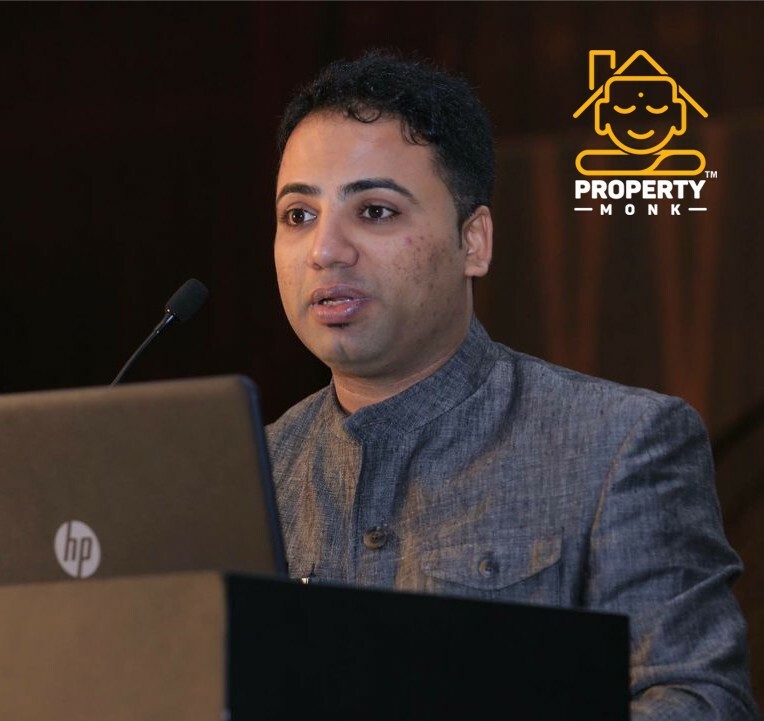 For instance, last year Puravankara Ltd, a Bengaluru-based real estate developer, held an online festival sale for 3 days (15-17 September 2017) during which, it says, properties were offered at lowest price points. Real estate portals are also doing the same. Apart from the new offers, subvention and part-payment schemes continue from earlier years. Under a subvention scheme, the initial payment, or down payment, is deliberately kept low. Under a part-payment scheme, a part (usually 10-30%) has to be paid initially, and the remaining is typically divided into two parts—one is scheduled halfway through construction and another at the time of possession. Subvention schemes may or may not reduce the cost. Be careful with subvention schemes. If the developer delays the project, you will have to bear a higher loan EMI, while also paying rent for your existing accommodation. This problem may not be in the scenario now as RERA have come under action. Among the most common offers this season are free air conditioners in all rooms, modular kitchens, 1-year free maintenance, assured rent for 1-2 years, and no floor rise charges etc. While affordable housing projects are seeing some interest from buyers, there are few takers in the luxury segment. So, developers of luxury projects, particularly, are offering heavy discounts since sales are sluggish in this segment. Some are offering high-end cars for those who book penthouses, and luxury cars to those who book villas. Some are also offering 12 months’ assured rent. Lump sum cash discounts work but make sure the developer has not increased the base prices in last 6-12 months. You should keep a check if the cost is reduced by 8-10% then you should go for cash discount offers. Look for a property that suits your requirements. Freebies and offers should be incidental to the decision. Look at the project’s location, features and amenities, quality of construction, and the quoted price; and compare these with other options in the vicinity. If the project is at par with peers on all these counts, then offers and freebies make sense. The merits of these offers must be weighed against the more intrinsic values of location, developer’s delivery track record and reputation for quality. Ideally, one should evaluate all freebies and offers in terms of money. Instead of accepting these, negotiate for cash discounts. Currently, it is a buyers’ market and some of these schemes will not only benefit buyers but also developers who are looking to improve sales—post demonetization and RERA. Take the help of a Real Estate expert like Brick Asset Pvt Ltd. to check the papers of the property. Will Real Estate Market Make a Comeback in 2019? The Indian real estate market, which was at its lowest level in the past four to five years, has witnessed a recovery in 2018 with more transparency and greater consolidation,” said the report released. The report is based on a pan-India study conducted by the Ahmedabad-based marketing consulting firm. 2019 will continue to be a cautious year, where developers will look to consolidate and exhaust existing inventory before launching new projects while buyers and investors will continue to wait to see if there is further price correction or consolidation in the market. The study revealed HNIs (High Networth Individuals) have already started investing in the realty sector at current prices, expecting returns of 20 percent to 30 percent within the next two years. Indian Real Estate industry is going through a lot of transformation in recent years. Some transformation proved to be a negative impact while some transformation made a positive impact. The government changed their policies lately such as demonetization, RERA and REITs, GST and FDI have made a huge impact on Real Estate Market. Apart from these, there are other reforms anticipated by the experts of the Indian economy, which may come into force in coming time. REITs: REITs is the abbreviated form of Real Estate Investment Trusts. REITs are investment vehicles that own, operate and manage a portfolio of income-generating properties for regular returns. These are usually commercial properties (offices, shopping centres, hotels etc.) that generate rental income. An REIT works very much like a mutual fund. SEBI (Securities and Investment Board of India) requires Indian REITs to be listed on exchanges and to make an initial public offer to raise money. The Indian real estate sector has been facing a liquidity crunch on account of unsold inventory and low demand. REITs can help cash-strapped developers to monetise their existing property. Indian investors don’t have too many regular income options. SEBI requires REITs to distribute a minimum 90 per cent of their income earned to investors on a half-yearly basis. Similarly, 90 per cent of sale proceeds too are to be paid out to unitholders unless the amount is reinvested in another property. Thus, you get to receive regular income and also get to benefit from price appreciation, thereby boosting your returns. In real estate sector, both rent and capital appreciation from property depend on the location, infrastructure and industrial development around that area. REITs juggle these risks through a diversified portfolio of properties. REITs helps you to diversify your investment. Along with diversification it provides you with good returns, stable income, tax efficiency and they are democratic in nature. GST: GST (Goods and Services Tax) seeks to transform India with its “One Nation, One Market, One Tax” principle.In the past, the real estate industry was embroiled in disputes due to ambiguity in provisions as well as multiple taxation. GST is expected to simplify taxation compliance and have a positive impact on the industry as a whole.The real estate sector is expected to become more transparent, since the introduction and implementation of GST. GST will absorb many of the indirect taxes developers had to pay under the previous regime. Logistics will also improve under GST and the availability of input credits will reduce project costs. These reductions for the developers will positively impact buyers, as costs will decrease. While there is still some confusion about the GST charges for under construction flats, the GST council is working towards resolving these confusions and ensuring that input credits are being passed to the end customer through the anti-profiteering clause in GST law. Never ending increase in housing demand: Indian government realised it late that it is the government’s responsibility to provide housing facility to their residing individuals. Now there are reforms taking place to achieve this mission. The government has levied Pradhan Mantri Awas Yojna under which a person is liable for having a house at affordable rates. In this way the houses are to be built more to meet the demands as such the government’s policy. There is a constant rise in the residential sector as the population is ever increasing, there is more demand for luxury affordable housing. Moreover, there is a rise in nuclear families and more people moving to urban sectors adds up to the housing demands. The residential sector can become more about space than size going forward. Developers will revamp their business models: The lack of strong regulations of the Indian property sector, developers used to launch many projects at the same time and there was no guarantee of completion of projects on time. There are numerous instances where the investor’s hard earned money went down the drain, simply because the developer is highly over-leveraged and could not complete the project. Now, with the enactment of RERA Act (Real Estate Regulation and Development Act, 2016), a deadline has been fixed for the projects. Also, other legislative reforms such as The Goods and Service Tax (GST) Act 2017 as well as The Benami Transactions (Prohibition) Amendment Act 2016, will have a major impact on the business models and work ethics of developers. This will develop more trust from the investors in long run. Industry Consolidation: There is an increase in developers and projects but lack of customers which has led to the merger of different developers. There will be more joint ventures in the sector this year. It will attract new investors as the price earnings ratio will improve. Let’s put a light on the reasons of growth of the Real Estate market. Regulatory reforms, steady demand generated through rapid urbanization, rising household income and the emergence of affordable and nuclear housing are some of the key drivers of growth for the sector. It has also seen a considerable increase in the demand of residential real estate. The expected reasons is the increase in employment opportunities, there is a constant growth in population, infrastructure is developing rapidly, migration towards metropolitan cities, easy availability of finance and growing income levels. If we take a look at the infrastructural level, roads need to be developed, reasons as the ever-worsening problem of population in Mumbai, the city also desperately needs smart roads capable of carrying the maximum number of people within the short time. Implementing minor changes to our existing road network, such as ensuring the concrete is used instead of bitumen, getting rid of potholes, and removing illegal hawkers encroaching on the space, can make a big difference. Rebuilding and developing the city’s civic amenities, for instance, the construction of additional railway overbridges, creating dedicated lanes for public transport and emergency vehicles, such as ambulances and fire brigades, can help streamline traffic during peak hours and avoid unnecessary congestions. One thing is for sure to happen in 2019 apart from all these, buyers have become very choosy and Real Estate Companies will have to change their approach to attract them. 2019 have huge possibilities of becoming a comeback year for the Real Estate market in India. Owning a luxury home is the dream of every person. The continuous springing up of luxury homes or apartments in Mumbai has acted as a catalyst to the changing economies of this city. As income is going up people are increasingly seeking to invest in a luxury home. The emerging market of luxury apartments in the country is due to an increase in the demand of modern living in all parts of the country. Mumbai, known for lifestyle and culture, is the hot destination for premier apartment. Such apartments are considered as a reflection of social status among the rich class. Most of you think about living with Luxury, a house which is having all the modern amenities, good furniture, dedicated spaces for almost everything in a house and you don’t need to think about space adjustments. Inspite of including all the world class things, we feel something is still missing in our home to make it stand out with the other houses. Very few of us enjoy the blessing of owning a house with a beautiful view.A home which is having a beautiful view completely meets all the luxuries a person is in search for! But is it only about the view which gives the tag of luxury to a home? Some may prefer their house in a beautiful locality, some may need it near a secluded space to their terms of luxury, some may need it a small space with all amenities, some may need to get upgraded to a bungalow or to a 3/4 BHK apartment, or for some people luxury might include owning their own house. So in a broader sense if we discuss luxury home definition differs from person to person. If we talk only about the amenities for luxury then while buying such kind of premier apartment it is necessary to keep certain things in mind which includes space, location, floor to ceiling height, elevators, amenities and view. A luxury home should comprise of 3-4 Bedrooms with attached washrooms and balconies in each room. It should have a designated dining room, servant’s room and store room is recently added to luxury homes. It should comprise of a big hall and expansive kitchen as well. Open floor plans have become the desired interior floor plan trend. The modern luxury homes do not see separate areas like the kitchen and the dining room. They all come together as one large living space for a more comfortable and flexible living experience. More and more luxury home buyers are nowadays citing open plan spaces as number one criteria when considering a luxury home. It should be kept in mind that in any case space should not be wasted. Every corner of the space should be utilized in some way. A luxury home should be located in the heart of the city, the connectivity should be great and the environment should be great, moreover, it is good if there are wide roads with less to no traffic problems. A convenient location is one of the most important aspects that must be considered while choosing a luxury apartment. A centrally-located apartment is preferable for HNIs who want to stay in close proximity to important places like airports, business districts, railway stations, etc. At the same time, such a location could also be marred by issues such as traffic congestion, noise and pollution. True luxury is defined by a careful balance of connectivity and general ambiance. A luxury home’s floor to ceiling height should be 12 feet or more than that. If this particular thing is not fulfilled then the home doesn’t fall under the luxurious category. Any luxury home is ought to fulfil this criterion. Taller ceilings provide a feeling of spaciousness, elegance and help in keeping the room cooler. Large, floor-to-ceiling windows, offering splendid views truly compliment high-ceiling interiors. Tall ceilings had made its mark in luxury housing. The elevators should be big and spacious. There should be dedicated elevators for servants and household needs. The capacity of the elevators should be good enough to carry heavy loads. Along with the spaciousness and other things the lift should be reliable and of best brand. Elevators can cost your life if they are not carrying the safety measures for a person’s life. Elevators which have proved themselves at world class levels are Otis, Schindler, Kone, Mitsubishi Electric, etc. Security is the most important aspect of luxury homes. No compromise is made in terms of security. Enhanced, state-of-the-art modern security facilities should be installed in the house. Besides human security in the form of round-the-clock security personnel, electronic surveillance units should be installed in each and every corner of the property. Luxury homes have higher levels of security. Emergency buzzers, intercoms, fire chutes and top of the line security installation ensure a stress free life. Many high end homes provide solar generators, home automation, accident and medical emergency, relief rooms, natural disaster bunkers, and safe rooms in terms of terrorist attack. Luxury homes are often chosen if their balconies offer a perfect view. Sometimes luxury homes are built such that it makes you view the sunrise as well as sunset. A luxury home without a good view is same as the normal home. If one needs to buy a luxury home its view is the crucial aspect. The window view available from an apartment is also an important aspect. A project may be genuinely luxurious in its specifications and amenities. However, if it overlooks a hyper-busy highway or anything else that is not soothing to the eyes and sensibilities of the occupants (such as a slum, graveyard or even a hospital) then both habitation value and rental/resale potential of the apartment may take a beating. The availability of super-rich amenities such as a rooftop swimming pool and Jacuzziin every bathroom will not make a difference when the very basic ingredient of a luxurious living experience is absent. Nowadays all modern amenities are the essential part of the luxurious homes. These amenities mostly include a clubhouse, gymnasium, swimming pool, children play area, garden area, jogging area and a hall big enough so that small functions can be organised. Sometimes these luxury homes also offer a terrace garden along with squash courts. HNIs investing in a luxury apartment want the best that money can buy. Luxury homes are meticulously designed to offer maximum comfort, with attractive interiors and cutting-edge facilities. Premium residential projects must offer state-of-the-art facilities such as landscaped gardens, stylish living rooms with LED televisions, sleek and fully-equipped kitchen, Wi-Fi, multiple parking, fast elevators, 24-hour security and gymnasiums. The exclusiveness of a luxury home also depends on the number of people residing in the building or society who share amenities. Backyards and spacious patios are a symbol of luxury. Other features which define luxurious indoor/outdoor living entail floor to ceiling doors which seamlessly slide into the wall and open into a backyard, outdoor kitchens with outdoor seating, water elements like an infinity pool, a fire pit, to name a few. Permeable paving and drought tolerant plants for water efficient irrigation constitute other luxury features for swanky indoor and outdoor living. Out-of-the-box features such as outdoor showers and meditation gardens further add to the beauty of a luxury home. A luxury home should be exclusive, tailored while keeping in mind the homeowner’s comfort. Apart from fancy finishes and decorations, it should be aesthetically appealing, with world-class architecture and interior design. It can also be customised according to the client’s lifestyle or individuality by interior designers, developers, home stagers and other seasoned professionals who contribute to the luxury real estate. Now-a-days the demand for luxury homes is increasing. The upper-class people want to own a luxurious home because it has the reflection of their status. No compromise is done while owning a luxury home and luxury comes with a price! Many projects of luxury homes are coming to light in Mumbai, Delhi, Bengaluru, Pune and Hyderabad. Kanakia Paris is inspired by the city of love or perhaps strongly influenced. The pathways outlined by artistic lamp posts, the 40ft replica of the Eiffel tower, the incredible landscapes, the architecture, the ambiance. Its amenities include café, spa, steam, sauna and gym, kids play area, squash court, water body, a telescope at a rooftop, landscaped garden, table tennis table, skating area and a walking area. Omkar 1973 is a Skyscraper under construction located in Worli, Mumbai. It’s a 3 tower development from Omkar realtors. It offers 3, 4 & 5 BHK apartments & 400+ sky bungalows. It offer all the amenities one can think of including SPA on chargeable basis, Scenic infinity pool, the ultimate active lifestyle. The location advantages are close proximity to CBD Bandra Kurla complex, City airport and suburban area on a 15 mins drive via Bandra-Worli sea link. DLF The Camellias is an upcoming lifestyle condominium at Gurgaon’s Golf Course Road. It is emerging at sector 42, Gurgaon. The price range there is 35 k /sq. ft. or 25.19 Cr. DLF The Camellias is spread on wide acre expanse at DLF Golf Links with every amenity you can think of, including a clubhouse, a cafe, a swimming pool, a recreation center, a jogger’s park and a parking space. Come to where form meets function. Designed by world-renowned architects, the elegance of DLF The Camellias is further accentuated by the 75% open green space. A grand façade and intelligent lighting come together to make it an upcoming well recognized landmark. The extraordinary structural design is as functional as it is aesthetic. DLF The Camellias stands out as a landmark with its stunning international architectural design and aesthetics. The Grand Hyatt Gurgaon Residences Located at the intersection of Golf Course Extension Road and the 84-meter wide Sector Road in IREO City. It costs around 14.95 per sq. ft. Four bedroom, duplex and penthouse suites Floor to ceiling double glazed windows for those long and short views of lush greens Residence catering services for your grand occasions Global flavours prepared fresh in your home by dedicated personal chef Residence housekeeping services tailored especially to your exacting standards Priority access to exclusive spa and spa facilities within the hotel. The amenities include exclusive residence club, unparalleled luxury services, green surroundings, elegant spaces, iconic architecture, the luxury club, library lounge, private cinema, world-class restaurants & security patrol within IREO city. Parsvanth la Tropicana is located at Timarpur, New Delhi. It costs 21 k per sq. ft. Spread over 16.8 acres, in a city where space is at a premium, La Tropicana is luxury at its best. With over 65% area reserved for parks, landscaped greens / open area, these 3/4/5 bedrooms luxury condominium with penthouses and villas are tastefully designed, where life will bloom in all its manifestations. The large spacious drawing room exudes class and flaunts an unparalleled style. Adjoining it is the dining area, large enough to host a sit-down dinner. Casting a magic spell of complete comfort are these lavishly draped bedrooms with nature-inviting balconies. The amenities include aromatic gardens, basketball lawn, terraced landscapes, Jogging tracks, Modular Fittings, Piped gas supply, Water supply from RO plant, Ergonomically designed for maximum comfort, Health Spa & Gym, international style swimming pool with toddler pool, Basketball and badminton court, Squash court, Billiards and snooker, round the clock vigilance, underground car parking. The Promont by TATA is at Banashankari, Bengaluru. It costs around 11,500 per sq. ft. that is 9.70 Cr. It is a benchmark development across Indian real-estate market. The Promont is spread over 14 acres of land and comprises of 312 uniquely crafted apartments and pent houses across 4 towers. It offers 3 & 4 BHK luxury residences. And a world that could be. A place where you can see life unfold below you from your tower of solace. This is the world of Tata Housing’s exclusive lifestyle at Banashankari, Bengaluru. A unique world of elevation and impeccable luxury in a place you could never imagine. The world is truly different here. It is a benchmark development across Indian real-estate market. It includes all the modern world amenities. Shobha Indraprastha is located at Rajaji nagar, Bangalore. It costs around Rs. 16.08 Cr. They offer 3 or 4 BKH luxury apartments. The project amenities include Sky lounge and clubhouse on 36th floor, swimming pool and gym on 37th floor, jogging track, library, indoor and outdoor sports facilities, kids play area, party hall, landscaped gardens, Earthquake resistant structures, Sauna, food and beverage corner, 11 screen Multiplex, power backup facility and well trained security staff. It is coming up on Ashok Nagar, Bangalore. It costs around 30 Cr. Prestige Kingfisher Towers project is 34 storeyed and the apartments start from the 6th floor onwards. Prestige Kingfisher Towers has 3 towers, Tower A, Tower B and Tower C. Kingfisher Towers comprises of luxury 5 bedroom flats spanning the entire floor of each tower with an area of 8321 Sq.ft. Each residence at Prestige Kingfisher Towers has its own lift lobby, service lift area and an exclusive access to the project’s amenities that include a club house, swimming pool and gymnasium. Each residence at Prestige Kingfisher Towers gets 5 covered car parks. Kingfisher Towers is a luxury residential development comprising of approximately 82 luxury flats in a 34-floor tower, located on Vittal Mallya Road, Bangalore. The project is designed to utilize architectural techniques which will include what we believe to be a distinctive roofline. The project will benefit from facilities such as a clubhouse, swimming pool and tennis courts. Additional features of the project will include large balconies for each unit with views of the surrounding areas such as Cubbon Park, UB city and Museum. Panchashil Trump Towers Pune is a complex of two 23-story residential buildings in Pune, India. The development is in the city’s Kalyani Nagar region. One apartment is located on each floor. Comprising of two striking glass facade towers of 23 stories each, with 46 spectacular single-floor 5 BHK residences, Trump Towers Pune is truly international, having been crafted in accordance with the design and development standards of the global real estate brand – Trump. Ready to move in, Trump Towers Pune is a testament to modernity and melds the ultimate in contemporary architecture, impeccable design, unparalleled amenities, and incomparable service to create a truly transcendental experience. Development Size: 280,000 sq. ft. or 26,012 sq. m. Amenities include fitness centers, kid’s play area, kid’s pool, multi-purpose room, snooker room, spa, swimming pool and yoga & meditation room. Ajmera Aria is coming up in Koregaon Park, Pune. It is coming in 4 BHKs. Ajmera Aria has been crafted with the minutest attention to detail so that the homes exude elegance and luxury right from their very form. The tower comprises of four bedroom sky villas, bringing the feel of a bungalow to the safety and security of an apartment. Tao Architecture has pulled out all the stops in the design: every home comes with a private atrium, standing tall with a ceiling height of 24 feet in the living room, against the backdrop of a verandah with your very own pool & Jacuzzi. The regal bedroom too opens out into the veranda for a separate access point to the swimming pool. Ajmera Aria’s column-less structure, in the meanwhile, provides ample space for all your luxury needs and decor. Vasantha has emerged in the high tech city, Hyderabad. It costs 6.1 Cr. It offers 3 and 4 BHKs. Vasanta Estates (now, Vasantha Group) was established in 1996 to cater to changing perceptions of lifestyle in Hyderabad. The promoters incorporated innovative designs, latest trends loaded with desirable amenities to give unrivaled value to the customers. Professionally managed and executed, “Vasantha City” a mega project both in scale and quality, will be the crest jewel among their ventures. The Triplex villas have 4 Bed Room+ Home theatre Hall comes with Internal Lift/elevator, A/C’s (We provide 8 split AC’s of 1.5-ton capacity ac 3 Star Rating in each villa), Video Door Phone, Solar Water Heater on the Roof Top. Vasantha City spreads a vast canvas of landscaping; wide internal roads will take you through blossoming trees, niche seating areas and play parks to your magnificent villa. Signature Horizon is emerging on, Dollar Hills, Puppalaguda, Manikonda, Hyderabad. It offers 2, 3 and 3BHK including study room residences. It is a plan of 11 towers in total which will be connected with the central corridor. It offers amenities such as infinity edge swimming pool, roof-top gazebos, yoga and meditation deck, sky café, sky lounges, business center, juice bar, private cinema, art gallery, gymnasium, squash court, table tennis, kid’s play area, spa and salon, multipurpose sports hall and jogging track. Many more luxury projects will be seen coming up in near future. But as the luxuries are added to the apartments their maintenance also soars up. The maintenance is something which needs to be paid and that adds up to the cost of living.